Christmas poster by David Clode. 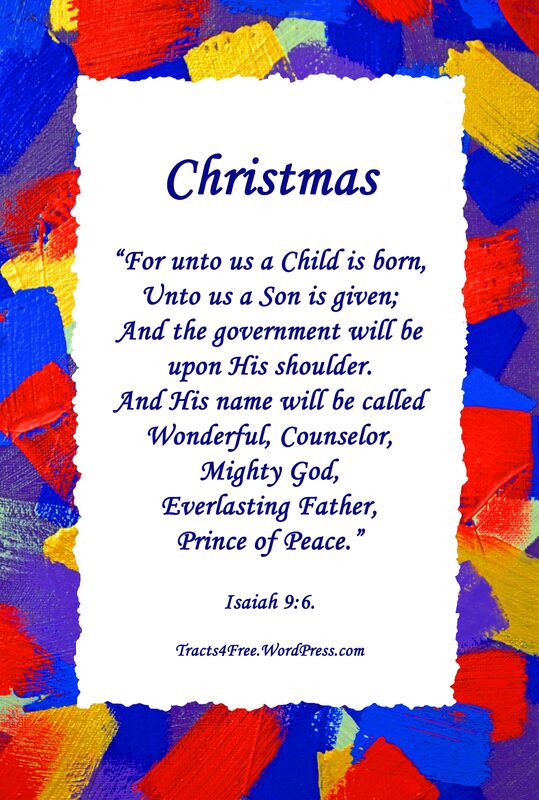 Free downloadable Christmas card or poster. 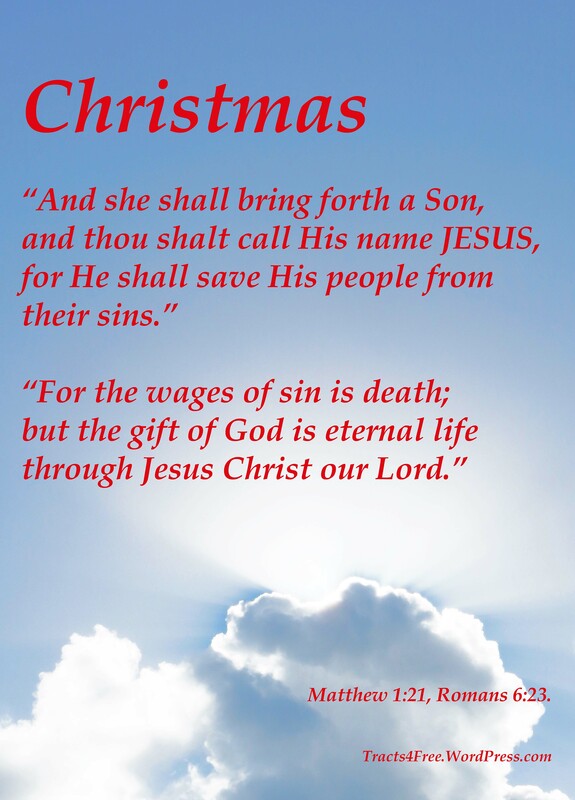 These posters can be printed as posters or made into Christmas cards (free to download). 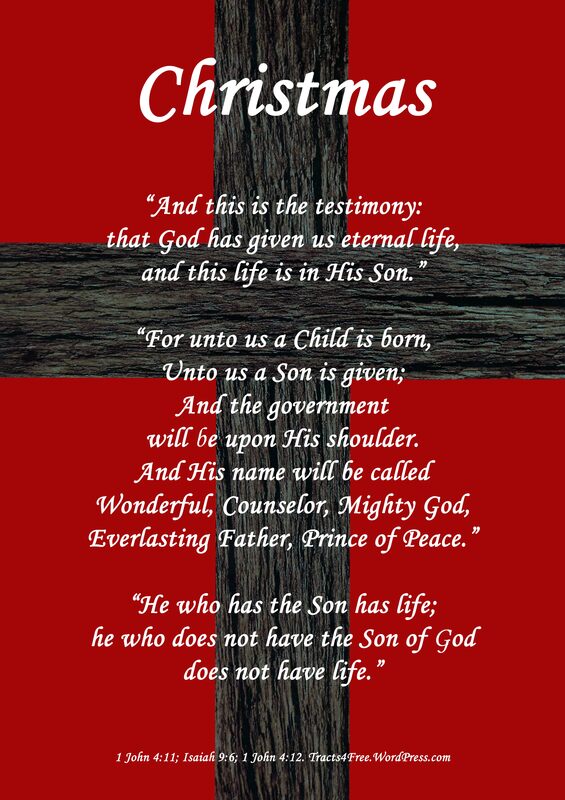 All too few commercially available Christmas cards actually quote Bible verses or celebrate the birth of Christ. You could take some of these images (free to download) to a photocopying business, and they should be able to make A5 size cards, and some businesses will even cut and fold them for you. You could take orders from people at church, and if you get enough cards made, you may be able to get a discount for quantity, and end up with cards which may be about half the price of what you pay in the shops. Christmas poster by David Clode. Free to download and print. Christmas poster by David Clode. 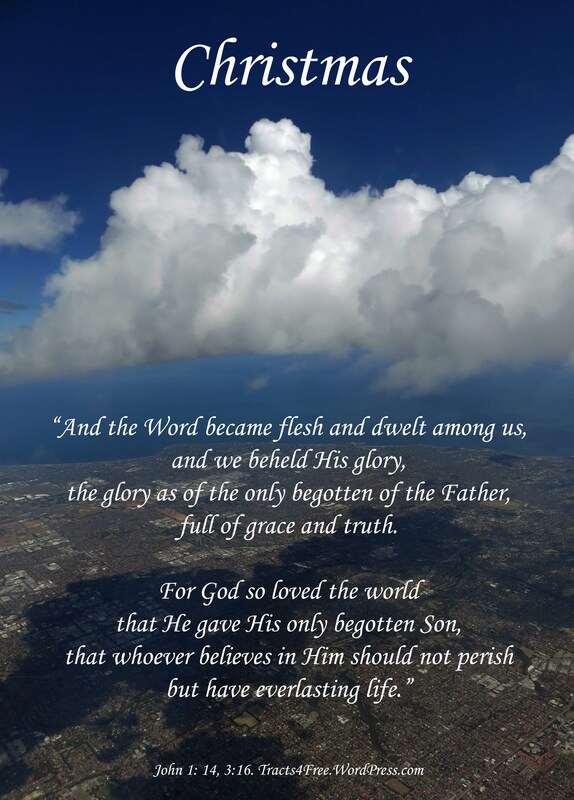 God’s Gift, Christian gospel poster. 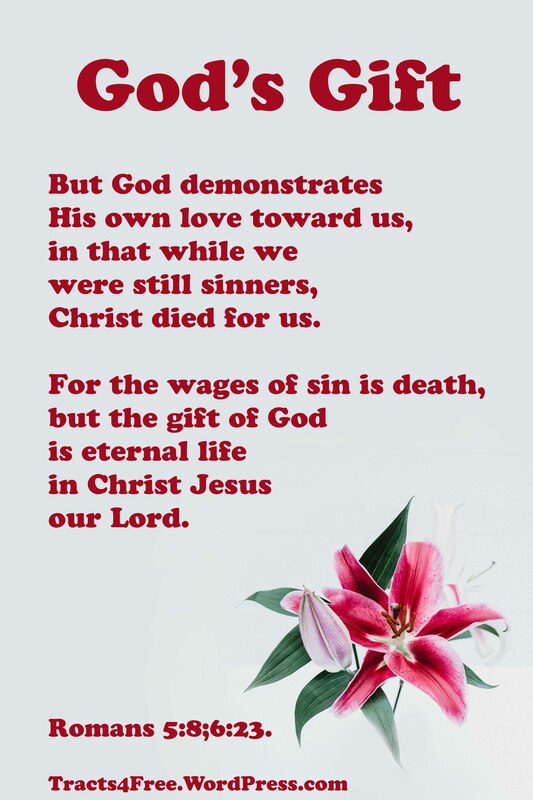 Romans 5:8, Romans 6:23. Photo: Tanalee Youngblood on Unsplash.com. Poster: David Clode. Christmas poster by David Clode. 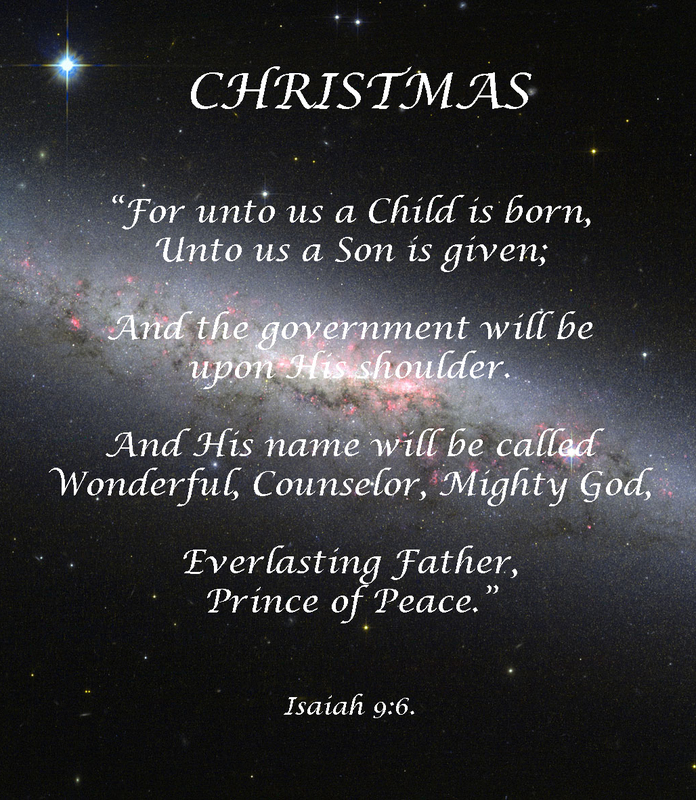 Free printable Christmas card or poster. 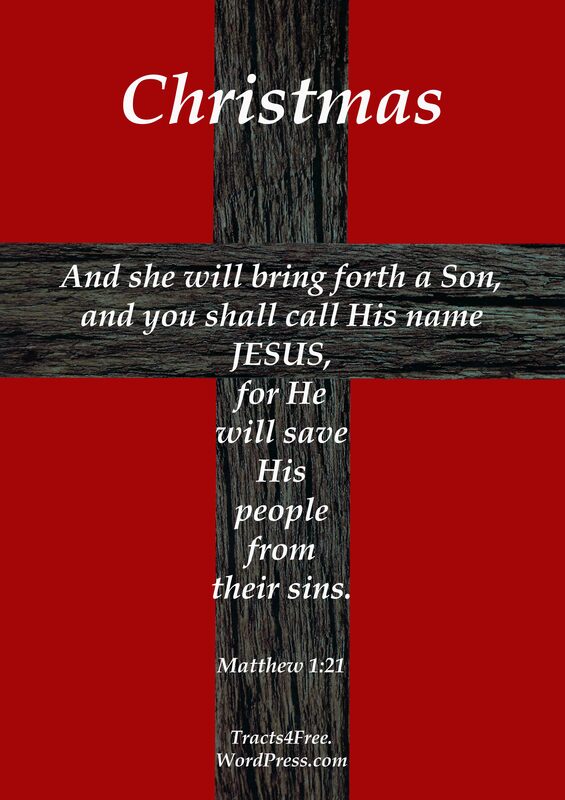 Merry Christmas poster. Isaiah 9:6. Background photo: NASA.